You got me at beaches that are not to crowded but I have to say I’ll take a pass on “concentrated, salty pan drippings” in a jar loaded with added B vitamins. It’s cool though to see the unique products available in other countries. A post just on that would be interesting. Hi Carol – that’s a great idea for a post. Thanks! 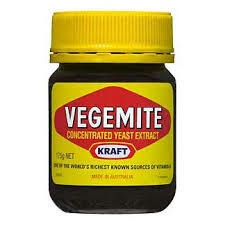 Not sure if you are aware apparently the Canada Food Inspection Agency has banned Marmite, but it spared the Vegemite. I haven’t tasted either, but I guess I will now.